Design Your Personality into Your Trunks! Home > Blog > Design Your Personality into Your Trunks! If you haven’t already, you need to check out our new designer tools that you’ll get to use for creating your favorite personalized products here at Everything Summer Camp! Whether you’re creating your own Lid Skinz, Nameplates, Create-Your-Own-Footlockers, or designing your monogrammed laundry bag, you’ll be having fun. These new designer tools work faster and give you an abundance of freedom not just sizing, but placement as well. There’s also less restrictions for certain items. For nameplates, your icons are limitless! We can’t encourage you enough to try getting your kids involved in their own summer camp preparations. That’s why we enjoy making the processes for your personalized items more fun and interactive to design. Let’s say that you love frogs. Well, now when you’re creating your Lid Skinz for your trunk, you can take our frog icon and dot the “I” in your name with it or place it in the center of an “O”. Or when you’re designing your One-of-a-Kind Personalized Nameplate, you can make a whole border of frogs! You can go absolutely frog crazy! 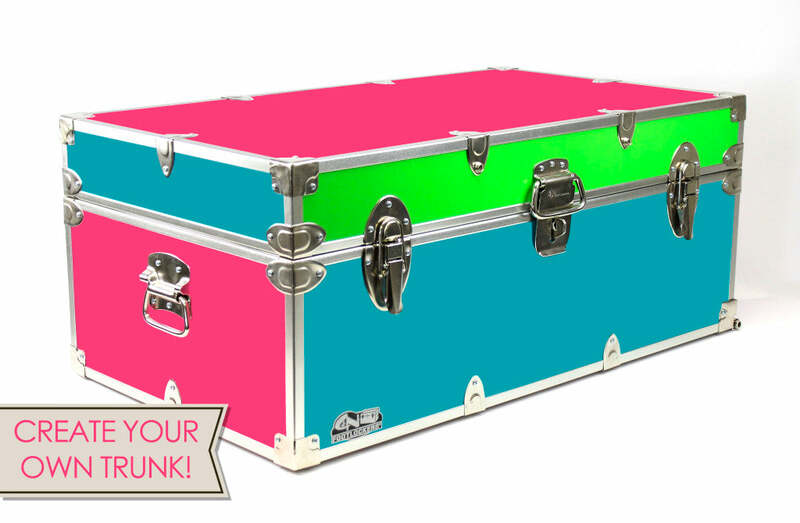 Pick a different color for all ten separate surfaces on our awesome personalized trunks, the Create-Your-Own-Footlocker. You can easily make sure that you have the top, bottom, the front lid, back lid, the right and left side of the lid, the front and back base, and the left and right side of the base colored and designed just the way you want it. Let us know what your initials are and show us which side of your name you’d like to see an icon and we’ll get your laundry bag sewn out soon after! You’ll actually get to see detailed previews of your creations as you’re designing them. I can’t wait for you to finish reading this blog post and start designing your own items!